Kelly and Kim's Kreations: Wow!! Another Award! I haven't been blogging for a little while, some other things came up. When I came to check on things today I see that we have been giving another award!! So cool, thanks!! We love that people are starting to find our blog and are reading what we have to say and share. :) We were nominated by Shawna over at KinderGarden Seeds, and by Catherine at Kinder Cuties, and by Janelle over at Mrs. Janelle's Kindergarten Kingdom! Thank you so much ladies!!! 1. Thank the blogger who nominated you. Already done! Thanks again! 2. Include a link to their site. Did that up above, click on their website names to check them out! 3. Include the award image on your blog. 4. Include 7 random facts about yourself. Kelly and I both share a love for Mexican restaurants. We are always hunting one down and looking for an excuse to go out to eat Mexican. Kelly and I both also share a love of photography and are loving our amateur photographer status. We are always trying to learn more. Kelly does better at this than me. Sometimes my head just spins with aperture, shutter speed, ISO, etc. Hard to keep it straight sometimes. Kelly used to be an avid ice skater. She was part of a team that participated in all kinds of competitions, isn't that cool!? She likes to teach skating part-time to children now. I taught in a Montessori school for five years before going in to the public school system. I still use some of the techniques in my classroom today. We love technology!! Unfortunately, we still write on chalkboards in our classrooms. There is a joke in there somewhere I am sure. We keep holding out for something great in the technology department, maybe even a dry erase board. Ha! Dream Big!! Kelly has just recently moved into a new home. She lives there with her husband, daughter, dog, and now even a few mice! She says she needs a cat, but her husband has allergies! Maybe I should loan her my cat for awhile, she would have lots of fun chasing mice around! 6. When nominating be sure to include a link to their site. Click on their names to go visit them. 7. Let bloggers know they have been nominated. Doing this right now! Hi Kelly and Kim! Congrats on the award. And thanks for visiting my blog. I'm now following you! Thank you for the award! 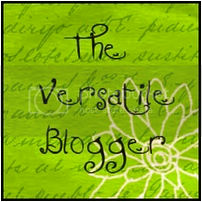 I'm following your blog & love it! I love the lion theme of your blog!! Come by and visit me and you'll see why!!! I'm your newest follower! I thoroughly enjoyed reading your responses. Mmmm, give me some good authentic Mexican food and I'm one happy teacher. I also studied Montessori as an undergraduate and it was one of my first student teaching experiences. I also incorporate some of the methods in my classroom. Guess what...another AWARD!!! Stop by my blog to pick it up! Thanks for all your sweet comments! Thanks so much for nominating me! I'm honored!